The Matcha Cake recipe creates a moist, dense green tea cake with an outside that has a great crunch to it. It’s sweet, but not too sweet, so it can be enjoyed as a dessert or even as breakfast. And, as always, because it’s made using matcha green tea powder , this green tea cake …... Position a rack in the lower third of the oven and preheat to 350°F Grease the wells of the mini tea cake pan and dust with flour. Tap out excess. Tap out excess. To make the cakes, over a sheet of waxed paper, sift together the flour, baking powder and salt. Holiday baking season is officially upon us. If you’re looking for an easy recipe that everyone will love, look no further than these tasty Russian Tea Cakes.... This is a very good recipe, the cake is awesome it is so soft and moist even after freezing and once you make the easy very delicious poured fondant and cover them they become moister on another level. They literally melt in your mouth. Two bites of heaven. Soft tea cakes. Use our food conversion calculator to calculate any metric or US weight conversion. Ounces-Grams, fluid ounces-milliliters, Tsp-Tbsp, Tbsp-Cup, Cup-Pint,… Use our food conversion calculator to calculate any metric or US weight conversion.... As a child, Wallace Yvonne McNair, the administrator and curator of the Black American West Museum & Heritage Center in Denver, often craved this snack—a glass of milk and one or two of the big, soft, jam-dotted cookies that her mother called tea cakes. These Southern Tea Cakes took me a LONG time to perfect! They are perfectly dense and thick, but soft, sweet, and buttery. The vanilla bean glaze on top makes these extra special! They are perfectly dense and thick, but soft, sweet, and buttery. A classic cake to have with your afternoon tea. Quick to make and bake and on the table served sliced and hot! Quick to make and bake and on the table served sliced and hot! My kids love this cake because it has cinnamon and sugar dusting 'just like doughnuts'. Position a rack in the lower third of the oven and preheat to 350°F Grease the wells of the mini tea cake pan and dust with flour. Tap out excess. Tap out excess. To make the cakes, over a sheet of waxed paper, sift together the flour, baking powder and salt. Preheat the oven to 350 degrees F. Cream the butter and sugar, about 4 minutes. Add the eggs and mix thoroughly. 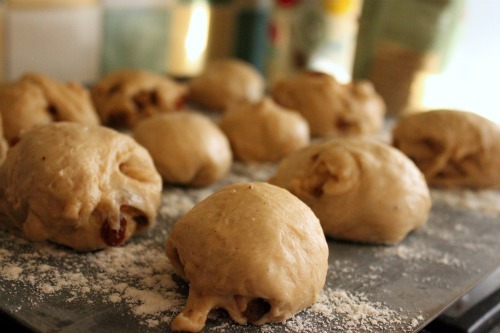 Then add the milk and gradually add the flour, making a light, soft dough.